The Hockey News’ Prospect Podcast features Ryan Kennedy’s comments on Terrier Freshman Brady Tkachuk. "He’s a Tkachuk, he’s a pain to play against, he’s a load to handle, he goes to the dirty areas and he can get those greasy goals for you. He has nice offensive skills, he’s got hands and will be a terrific net-front presence. A top-5 player for 2018." 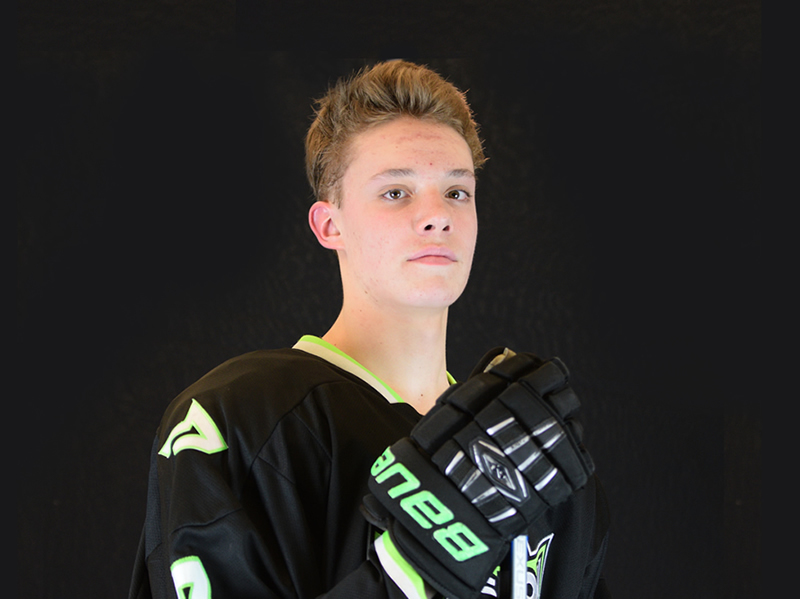 2020 recruit Alex Vlasic (photo), a 6’5” defenseman, scored twice and added two helpers to lead the NTDP U17s to a preseason 12-1 win over the NAHL Minnesota Wilderness. 2019 recruit Trevor Zegras, who displayed strong playmaking skills, according to a blog contributor at the game, chipped in a goal and two assists. 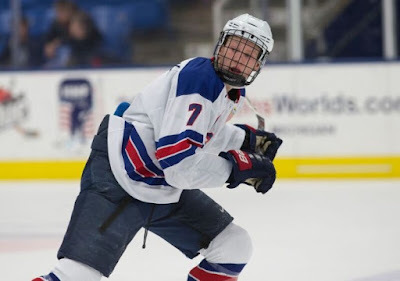 Blueliner Case McCarthy, another 2019 recruit, was in the USA line-up. Three former Terriers are on the Washington Capitals' training camp roster. Last week, Alex Chiasson signed a PTO contract and yesterday skated on a line centered by Evgeny Kuznetsov. 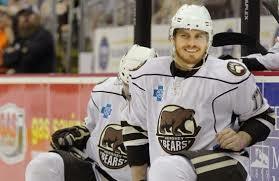 Chris Bourque (photo), MVP of the 2005 Beanpot, has played 51 NHL games and has scored 639 points in 658 games. Robbie Baillargeon, who played last season for Arizona State as a graduate transfer, signed a one-year contract with the ECHL South Carolina Stingrays, where he’ll join fellow signee Nick Roberto and skate for Coach Ryan Warsofsky, older brother of former Terrier David Warsofsky. Ontheforecheck.com analyzes the center position for Stanley Cup runner-up Nashville where Nick Bonino is slotted as the number two pivot, after anchoring the Penguins' third line the past two seasons.